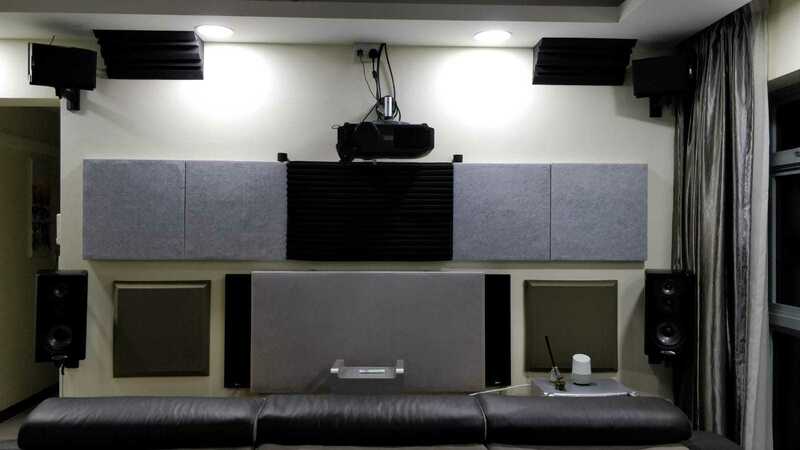 For those who wants to have a taste on Marantz AV8805 & Polk Audio LSIM setup. The purpose of this demo is to listen & share your thoughts on the setup. Those interested can Pm me. If we dont share or exchange knowledge we wont grow & understand. Be more open, Share & Learn. I can try to push on this Friday? 7pm to 9pm If maybe able to get 2 pax. Thought most of the time weekend would be a good time ya. Glad you are trying the 8805. Did you like it? Excellent spacious setup! Very generous of you bro open ideas invitation. Let me pm u if avail thks a lot. If still have an open slot for Sun 14 session, I would love to be there. 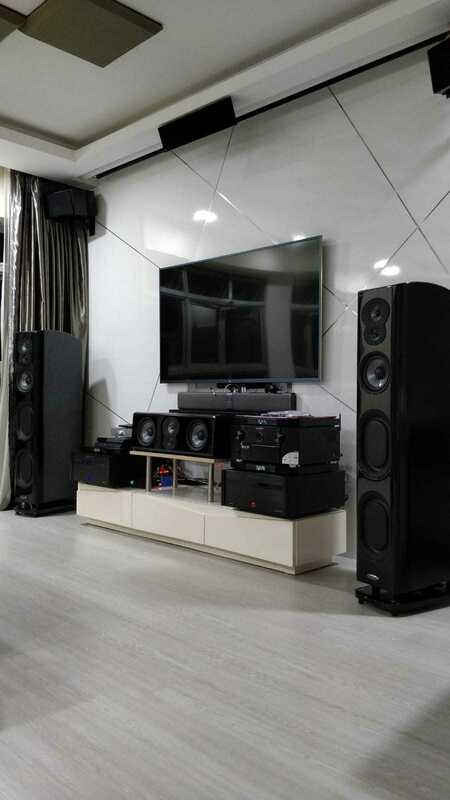 Very nice system bro and a nice room too. Any reason for choose Emotiva amps to partner the fantastic 8805 instead of Parasound or Rotel, which might be more musical? djblackfm has been an extremely good pal of mine. Got to know him unexpectedly via carousell, and from there we hit it off to became very good friends! This is actually my humble little home and djblackfm has been extremely helpful in assisting to coordinate these sessions, plus some other stuffs which i really really appreciate a lot! Am actually a member in XP for quite sometime already but not been very active, until recently where i started my small online business named Ovation United (https://www.facebook.com/OvationUnited/), bringing AV gears to my friends. Some XPrians has already bought something from me already , This is where my supporting pal here, plus another member which i did not catch his nick (sorry), urges me to be active all over again (which i am trying to ) here in XP, and if able to, bring some awesome gears (like the AC Infinity Aircom T10) to the bros here. So here i am, sharing my rigs, the purpose is for me to know more, learn more, understand more and more importantly know more good pals like djblackfm. Any comments, ideas, etc are all welcome. Be open, share, learn and have fun! In response to Doggie Howser and about Marantz AV8805, well i was a AVR-X7200WA user for almost 4 years. which i personally think the 7200 was bright. 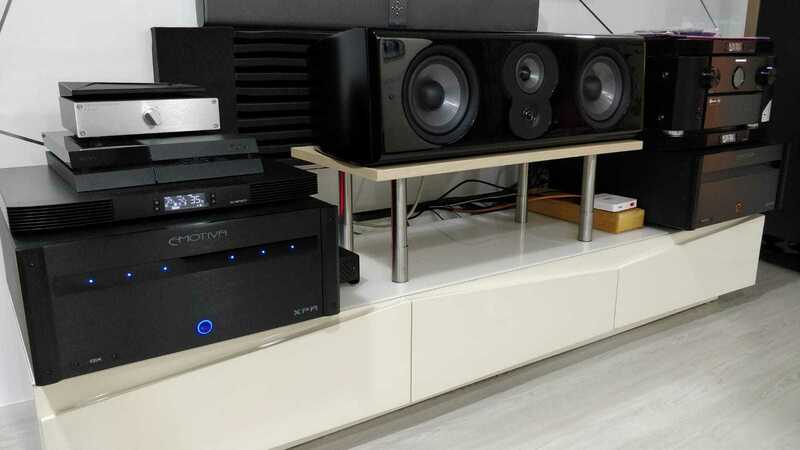 I wasn't using Emotiva at that time, purely integrated AMP. The concept of separates intrigued me when i first saw djblackfm's setup last time and got poisoned. Lol... i was still using KEF R series at that time... and i've hence moved to Polk Audio since 6 months ago. Again thanks to my good pal, djblackfm haha. As compared to 8805, i went full XLR connection this time instead of RCA from 7200...due to my smart home smart switches, XLR solved the static sound which caused by one of my smart switch, which of course am delighted. Not comparing other AVRs apart from my 7200, in my opinion, the reproduction of the sound from 8805 is a little on the warm side which soothing to my ears now. The sound is accurate and clear (i guess it depends on source as well). With 8AK4490 32-bit stereo DACs across all channels, it doesn't lose out to my ES9028 DAC Raspberry Pie player either, just saying... I enjoyed movies and musics more than i enjoyed with 7200 now, maybe due to they are separates? or speaker change perhaps? In anyway, i enjoy more now than my previous rig, at least i don't feel fatigue when listening or watching movies long hours. I am using 13.2 Auro 3D setup now, at times i will switch between Atmos, DTSX and Auro 3D using Atmos underlying format. Again, my personal opinion, i kind of liked Auro more, perhaps for the VOG. For Atmos listeners, it may sound otherwise though.. no choice, due to my speakers placement limitation, i guess it my best position. 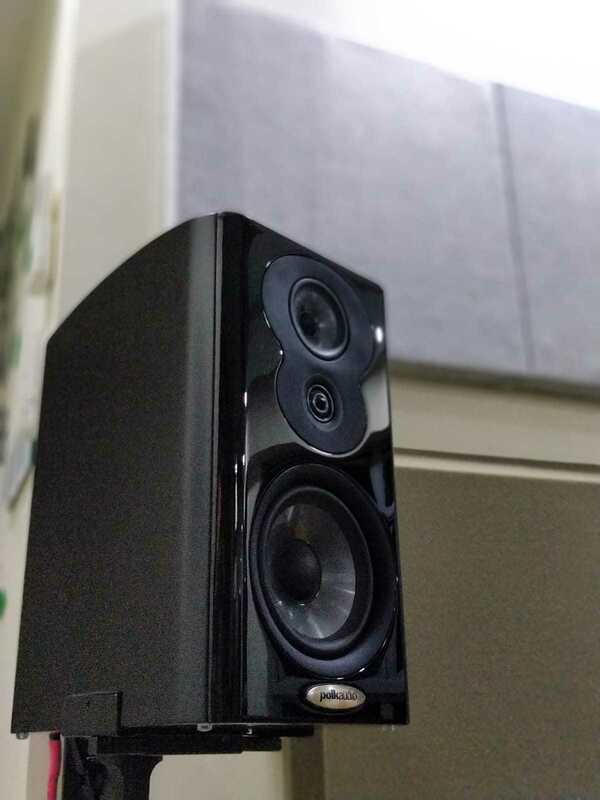 I did heed another XP bro's advice to bring my surround speakers higher by few inches, damn im glad i heed his advice and it sound whole lot nicer to me. PS: i still have my pair of KEF R700 around, hence we can really hear the difference between American designed Speakers VS England designed Speakers. For now, in order not to confuse on timing and availability, djblackfm will still be the POC, until the 1st 2 sessions are over, i will take over personally if i have the time. Looking forward to my first sharing session with the bros here! Welcome to the forum and enjoy your system.. how big is your room? Im staying in 5 room flat, the rigs are in my living room. I'm more available during Sundays noon between 2 to 4pm. After that i will be bringing my monsters to visit my parents. Hence 2 to 4 will be the best time, maybe stretch a little to 430pm. I am also open for Friday evening between 7pm to 9pm this week. Occasionally Friday evening is good, more quiet...provided my kids dont clown around at home. And I am much more gladful that i bought three T10s from you.. with your excellent after sales service responding immediately to my place when one of the adapter fails, i am sure you will make more frens here bro..
Btw, these T10s really helps my system.. my AVR remains cool after hours of movie play..
Ah here you are. MSF_313. Ah so the cave is winwinc81 ? Nice cave indeed! Envy... how i wish my CEO cld allow me to have such cave.. but pocket not deep enough.. lol..
Btw, thank you to you too bro winwin81..